Today the Absolute Rights newsletter published the “Disaster Preparedness Is Why The “Get Out Of Dodge” Report Was Created” article covering some recent disasters. Potable water is typically the first thing people do not have access to in a disaster situation. The Absolute Rights newsletter today published the “Disaster Preparedness Is Why The “Get Out Of Dodge” Report Was Created” article. The Absolute Rights newsletter explains the following disasters are covered in depth in the “Get Out Of Dodge” report, along with many others, so download a copy today. Hurricane Katrina struck swiftly and suddenly during the storm season of 2005, the newsletter adds. It was the sixth strongest hurricane ever recorded in the United States and caused the deaths of over 1,800 people, reveals the newsletter. The Absolute Rights newsletter says that over 26,000 people were forced into temporary residence at the local football stadium; the Superdome. The Los Angeles Riots of 1992 shocked the nation and reminded people that they do not need nature to create a disaster, the newsletter reports. Sometimes humans are capable of doing far more damage than any natural disaster, the Absolute Rights newsletter explains. There will be no weather report issuing warnings of an oncoming riot, adds the newsletter. The newsletter reveals that earthquakes are the result of sudden releases of energy in the Earth’s crust which create seismic waves. As a result, the newsletter explains that anything which sits on the surface is in danger of falling apart or breaking. The Texas Forest Service has had a heck of a time in Bastrop County lately, because the newsletter reports, that back in September of 2011 36,000 acres went up in smoke and 1645 homes burnt in total. Over 25,000 acres and 500 homes burned in just over 24 hours after the start of the fire, the newsletter adds. Learning about emergency water purification is also a key element of surviving a disaster, the Absolute Rights newsletter explains, because potable water is typically the first thing people do not have access to in a disaster situation. Being prepared with a personal emergency water filtration can mean the difference in survival, the newsletter adds. 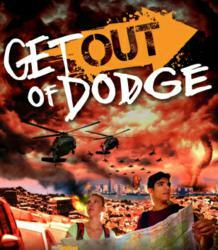 Download a copy of the disaster preparedness “Get Out Of Dodge” report before disaster strikes, the Absolute Rights newsletter advises.